‘David Lynch presents: A film by Werner Herzog.’ Opening credits really don’t get any better than that. My Son, My Son, What Have Ye Done? is based on the true story of Mark Yavorsky, a graduate student at the University of California, San Diego, who was inspired to kill his mother with an antique sword after being cast as Orestes in a production of Aeschylus’s The Eumenides. But that’s neither a spoiler nor essential knowledge. Producer and director have chosen Yavorsky’s story because ‘Woman killed with sword’ is exactly the kind of set-up you’d find in a police procedural TV show and they use it for ironic effect and as the base from which to mount an expedition into something more horrific. Procedure, by its very nature, is boring. There’s no CSI-style DNA swabs or keyhole camera angles here. Arriving at the scene of the murder, Willem Dafoe’s homicide detective is so concerned with the direction each coffee cup is facing that he fails to notice he bumped into the murderer a moment earlier, as one of the witnesses points out. Not only that, but the killer, Brad McCullum (Michael Shannon), lives across the street, has barricaded himself inside his house and can be heard shouting something about hostages. Mystery solved. While a SWAT team tries to resolve the situation, Dafoe’s detective interviews McCullum’s family and friends, and the audience is given flashbacks of events leading up to the standoff. Here it’s worth thinking of My Son as a companion piece to Herzog’s much bigger recent release Bad Lieutenant: Port of Call New Orleans (My Son was scheduled for production in summer 2008, but was pushed when Herzog got the Bad Lieutenant gig). Both films feature cops played by lead actors who excel at going off book, giving brilliant readings of otherwise mundane dialogue, which makes Dafoe’s dramatically functional, by-the-book ‘Good Detective’ all the funnier. Herzog’s interviews around the film don’t make the extent to which Lynch was involved very clear. It seems the Lynchian elements - long pauses between dialogue, a creeping jazz score, a dwarf, a killer with a rhythmic, non-sensical catch phrase, ‘Razzle them. Dazzle them.’ – are in homage to the director’s friend. Of course, Herzog doesn’t need Lynch to be weird and his old theme that nature is bigger than man soon emerges when we find out that McCullum hasn’t been the same since he returned from a canoeing holiday in Peru. On the trip, McCullum refused to go in some rapids in which the rest of his group subsequently drowned. By cheating death McCullum believes he can commune with nature and it’s the frustration of this belief that eventually leads him to kill his mother (‘mother’ taking on a special meaning in the context of ‘nature’). It’s here that the Aeschylus reference comes in as in the Oresteia the fall of the House of Atreus was arguably brought about by dealing with the gods and the furies directly. For Herzog, the idea of communing with nature is itself hubristic, as seen in his other films such as Grizzly Man. Aside from the main plot, there are brilliant little visual touches and musical cues that make the film a great pleasure to watch. 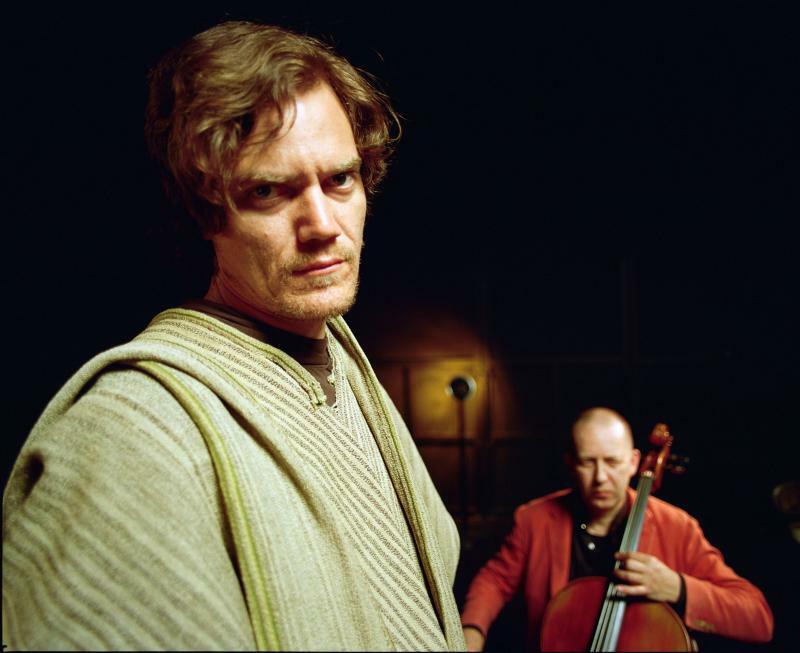 It is supported by excellent performances: Michael Shannon (the film-stealing lunatic from Revolutionary Road) is perfectly cast as McCullum and great support comes from Chlo&#235 Sevigny, Udo Kier, Brad Dourif and Lynch regular Grace Zabriskie (Sarah Palmer in Twin Peaks) as McCullum’s mother. This is a must for Herzog and Lynch fans. Taken on its own, I thought this film was quite strong. Yet in the context of both directors’ work, I thought it offered very little new. As suggested by Pashby’s review, I thought both directors can be seen recycling their famous trademarks throughout the piece. Yet here it lacked any element of risk of experimentation; the very element that made such tropes famous! One of the themes i enjoyed was a message that can be seen throughout Lynch’s work: normality is a precarious thing. Through slight modulations in timing and tone, scenes which on paper would read as banal, become incredibly a surreal and disturbing (best demonstrated in the scene where the mother comes in to offer an evening glass of water). I thought this message came across really well in the movie, we are consistently shown that the normal never seems very far from the abnormal (just as in the opening credits of Blue Velvet Lynch shows that the creepy bugs are never far below the manicured lawn).